The term “Digital Customer Engagement,” generally agreed to be the future of customer engagement, has been used to describe everything from managing apps, websites and social media accounts to customer surveys and loyalty programs. However, this broadness has created confusion as to what the term actually means. around a range of products. Based on this definition you could say that digital customer engagement includes customer service, by acting as a medium for answering questions and responding to requests for support. But you could also say that it is a tool for outbound marketing, by enabling a company to promote campaigns over the web or via apps, as well as a medium for sales departments to nurture interest amongst individual customers. 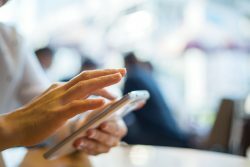 These multiple applications highlight the broadness of Digital Customer Engagement, and perhaps why there is so much room for it still to grow. Digital engagement tools have already proven themselves to be profitable. However, the ability to consistently maintain their use and ensure their ongoing profitability continues to be elusive. 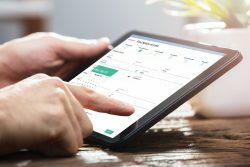 There is an all too common scenario where a company invests heavily in time and resources to produce a full suite of digital touch points – only to find that the app that was downloaded in fantastic numbers is only occasionally used, that the optimized website gets lots of “bounce-backs,” and that call volumes continue to be as high as ever. In this scenario, only half the battle has been won. The Digital Customer Engagement tools are all there and primed to perform, but the problem is those assets are often not integrated, so they’re not working together to divert customer interactions to digital channels. Omni-channel is where all your disparate interfaces, be it your website, your mobile site, your app, your branch, your phones etc, are all stylistically aligned, offer the same capabilities and are integrated with each other. In fewer words, it’s a way of reaching out to customers and providing them with a complete and seamless journey, no matter where they have come from. Your customer could be on your web page comparing prices, on your mobile site looking for the customer service number, or using your app to access their personal account, and in an omni-channel experience your customer will be able to complete those tasks, be it, making a purchase, resolving a billing enquiry or changing their account details. Doing so without any interruption, even if they have to move between devices or engagement mediums. Like most companies your digital customer engagement framework is probably already providing your customers with a multi-channel experience. You’ve got your facebook and twitter pages, your website, customer service agents and perhaps even an app, but if the customer can not move between them in a seamless interaction, then it’s a multichannel, not an omni-channel environment. The difference is the level of integration. If those interfaces are not integrated than they’re just a multiple array of channels that you’re using to connect with your customers. Not an omni-channel that enables customers to complete interactions. Omni-channel is achieved through the application of an augmented layer, that works to integrate all your existing digital customer touchpoints that make up the front-end, and connect them to all your existing backend interfaces such as your CRM and BI databases. The seamless integration makes it possible to facilitate a high level of agent-caller collaboration. 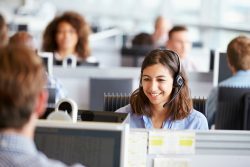 Where call center agents can more efficiently and effectively work with customers to help them complete tasks. Let’s give a few examples of how omni-channel is used to enhance digital customer engagements. My internet stopped working the other day. I was immediately confronted with the dilemma of how to contact my telco operator where the only place I could locate their contact details is on the internet! In an omni-channel environment, I could go to the operator’s app and use a self-service visual IVR system to request tech support. I would then wait for a tech support officer to call me, who without needing any context, would be able to walk me through the process of reinstating my internet connection. Going back to the app, I might send pictures of my modem to the tech support officer, s/he could then draw on my pictures indicating more precise directions and send those pictures back to me so I have a visual display of his/her instructions. The time taken to fix my internet connection problem is dramatically reduced, I’m happily off on my way and the phone company is on to the next customer. In an omni-channel environment, a bank’s marketing and sales processes are dramatically reduced as numerous hurdles to product acquisition are removed. Let’s take the example of a customer wanting to know about various investment products. She hops on her financial institution’s website and clicks a button to speak with an investment advisor. As she completes the Visual IVR process to direct her call to investment options, she is presented with an advert about managed funds that follow the S&P500. She clicks on the ad and is able to review the fund’s performance over the last five years. When she speaks to the bank manager, she requests a portion of her investment is allocated towards the S&P500 amongst other funds offered at the bank. The bank manager provides her with a smart digital form which she fills out collaboratively with the bank manager on her computer, whilst they are still on the phone together. The bank manager is able to collect her signature, provide her with the terms and conditions of the investment account and ensure all regulatory requirements are met. Doing so, all in the one interaction. For the insurance company, an omni-channel setup offers endless value. Let’s take an example of a customer who was in a minor car accident. At the scene of the accident, the customer can already commence the process of submitting a claim. They look for the ‘contact us page’ of their insurance company website, press a button to speak with an agent and automatically get put through to the Visual IVR session where they follow the pathway to submit an initial claim. The customer is then presented with a smart digital form where at the scene of the accident they are able to fill in all the details, take photos and attach them to the smart digital claim form. Once that’s done, the customer automatically receives a claim number acknowledging that claim has been filed. The next day, the customer may get a call back from the insurance company to clarify details on the form, the customer can then go back onto the digital claim form, make any adjustments and add his signature to finish it off. No back and forth processes, no printing and scanning. The whole claim process is done and dusted in moments. The business arena is already well and truly immersed in offering Digital Customer Engagements whether that be to market products, cultivate new leads or support existing customers. However, omni-channel represents the next stage of our digital customer engagement era, where interactions seamlessly blend into each other as they move towards successful completion. With the potential to dramatically improve customer satisfaction and simultaneously keep call volumes low, agent collaboration is utilized only in high-quality calls and only at the most critical points where a human touch is needed. A multichannel approach to your digital customer engagements is no longer sufficient, thriving in competitive industries now demands an omni-channel environment.